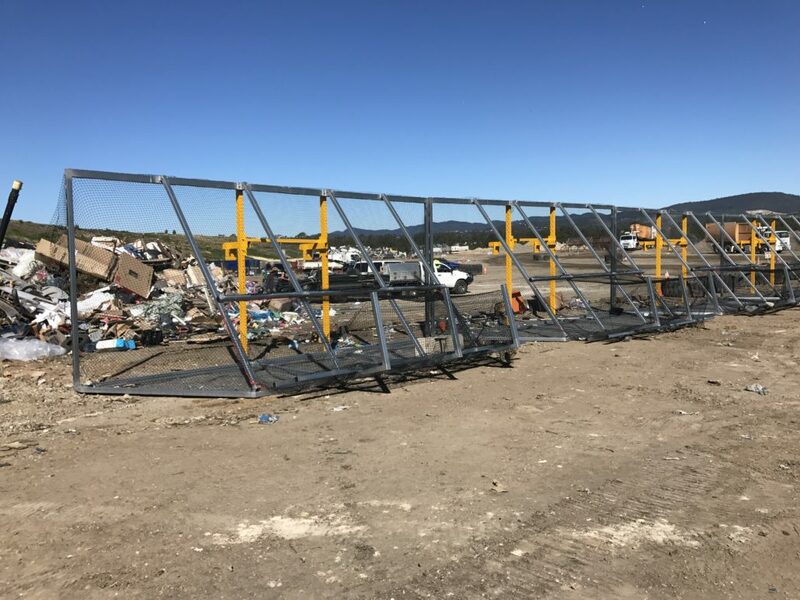 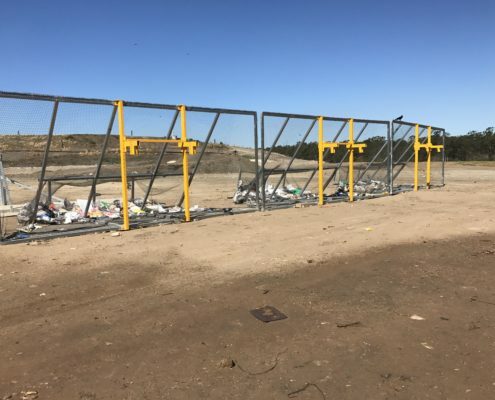 The Patented LitterFence™ suite of solutions are mobile fluted fence systems designed to catch, control and concentrate wind blown litter for easy collection. 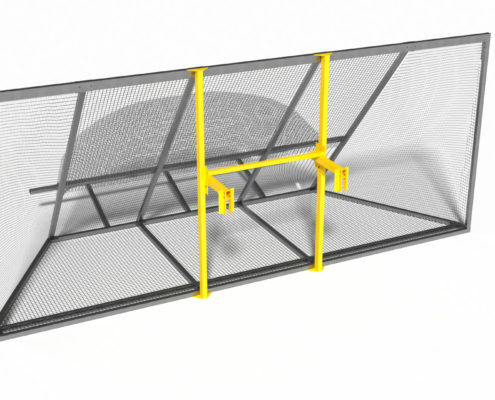 These solutions are ideal for landfills and Waste Transfer stations. 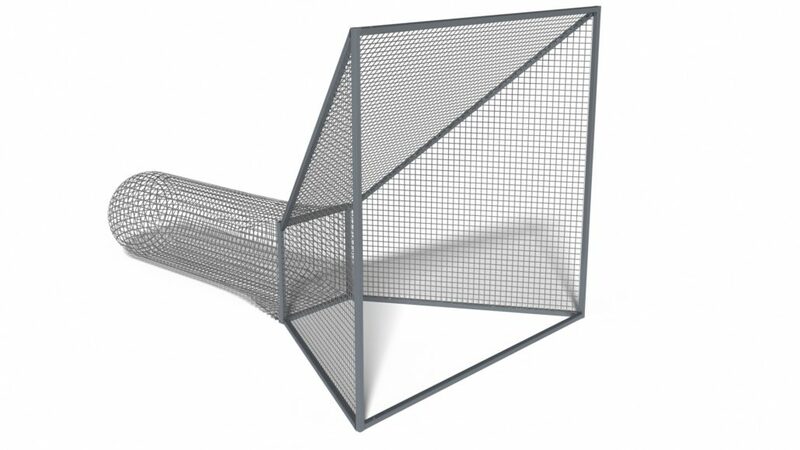 The core principle is, the closer you can get to the work face with your litter trap the less that will get past. 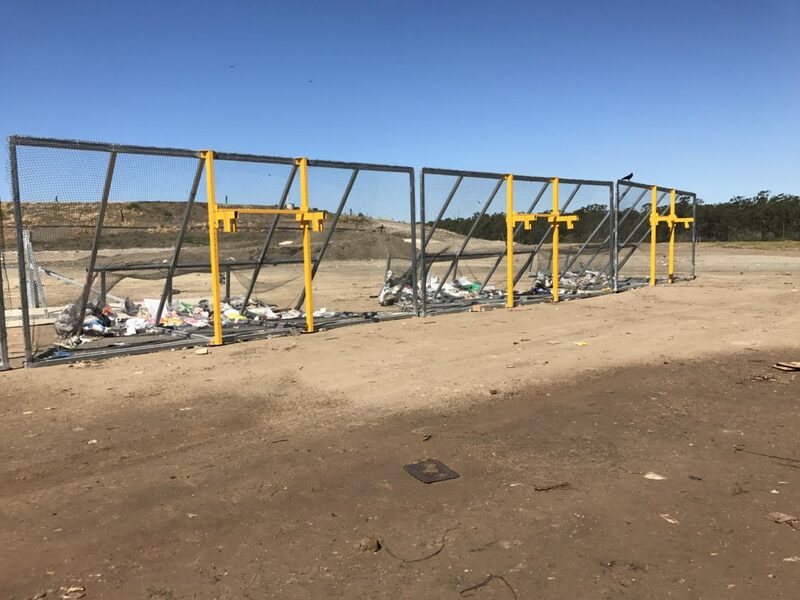 That’s why all of the LitterFence™ solutions are relocatable, so as your waste work-front moves the LitterFence™ moves easily with it. 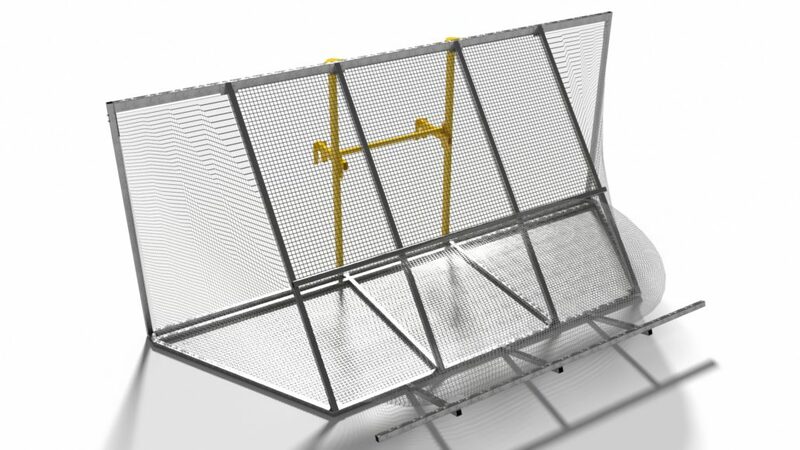 – Ideal for Open Waste Trasfer Stations and most small to medium landfills. 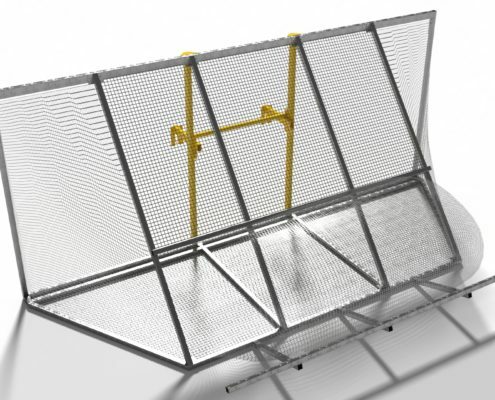 – Concentrator design and rear gate allows for ease of emptying. 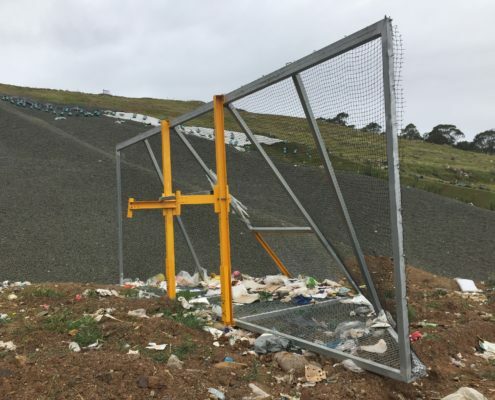 – Easily relocated without operator exiting machine. 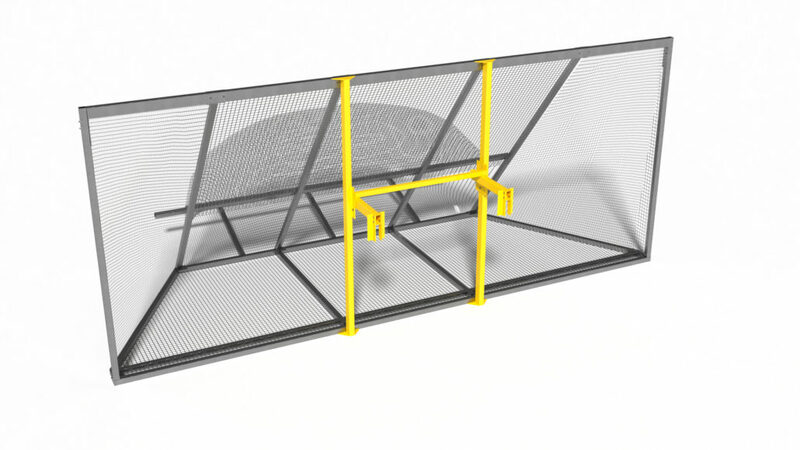 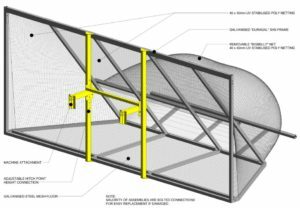 – Concentrator design is deeper with outriggers for stability in strong winds. 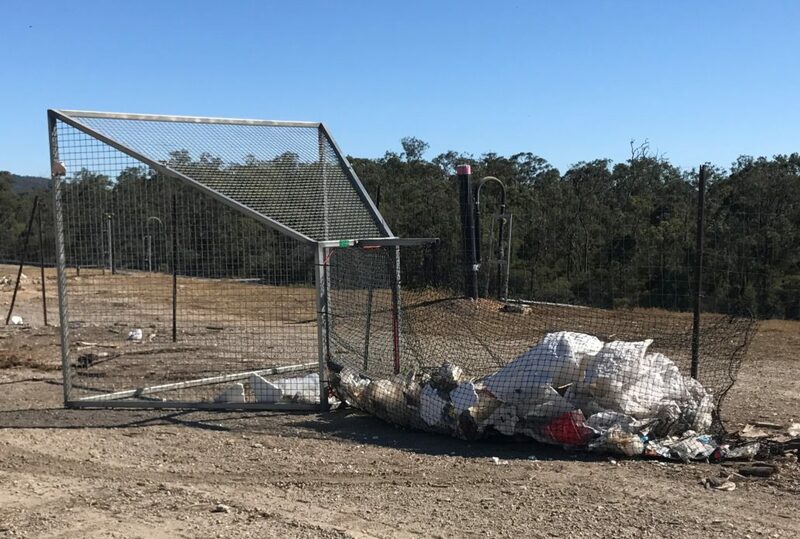 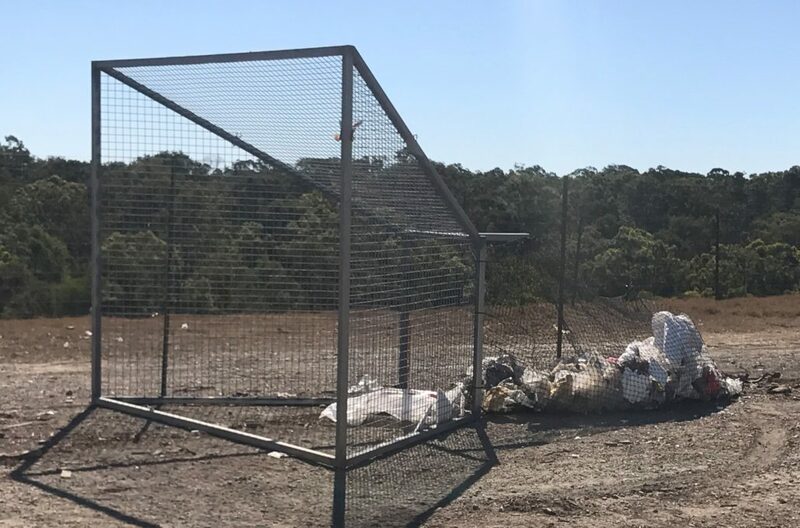 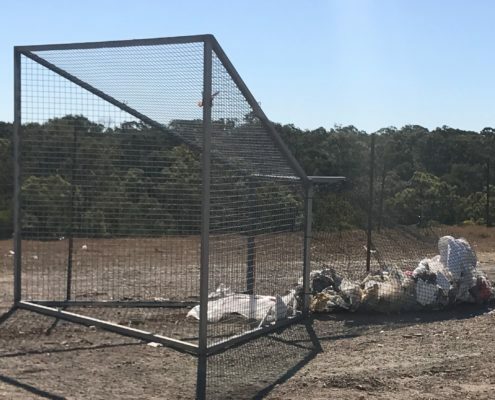 – A large 4m3 netted bag to the rear of the LitterFence can be secured and removed to contain captured waste. 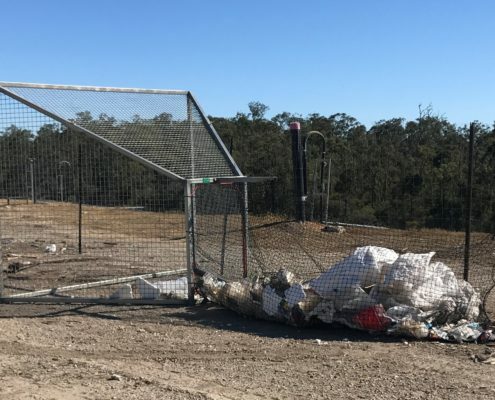 – Replacement bags can be used. 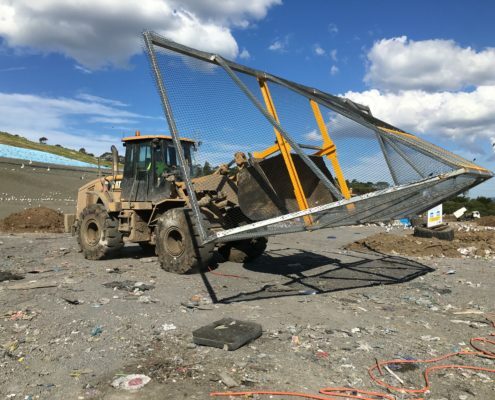 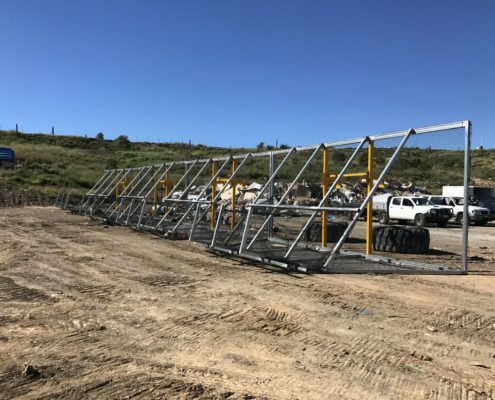 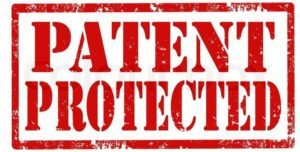 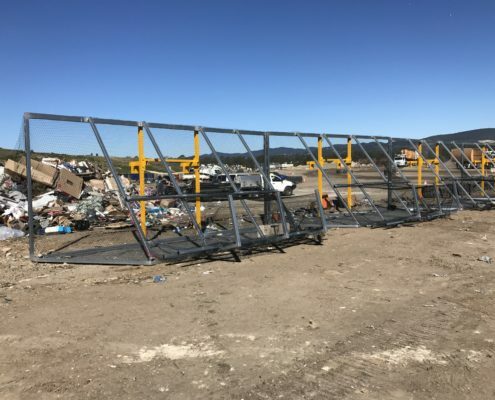 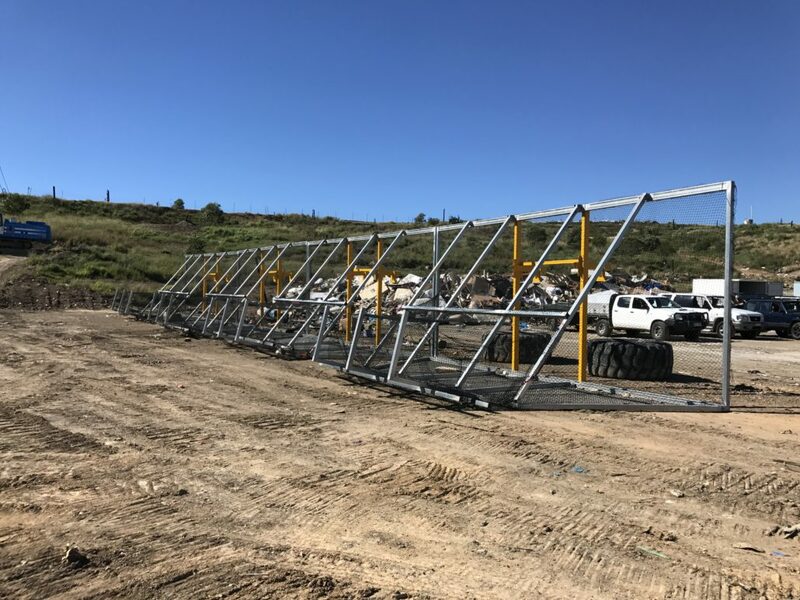 – Ideal for landfills and waste transfer station fence lines where wind blown litter may accumulate. 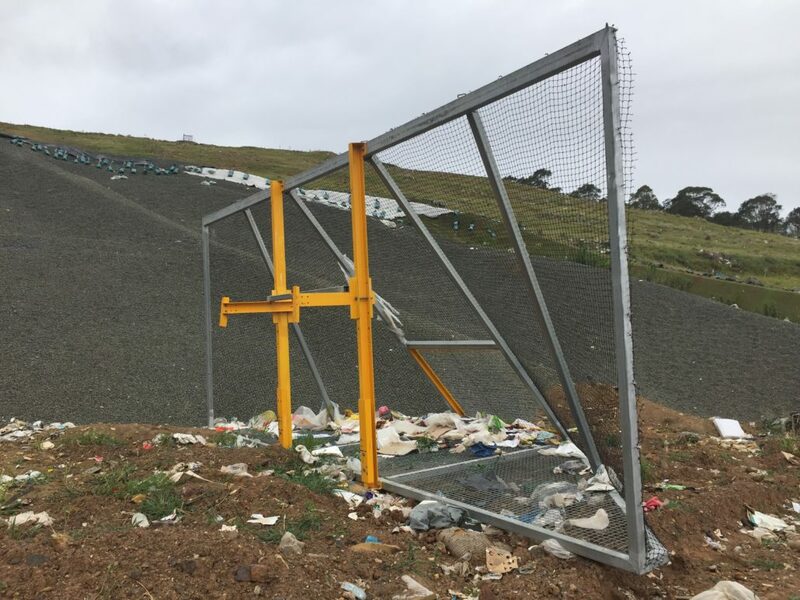 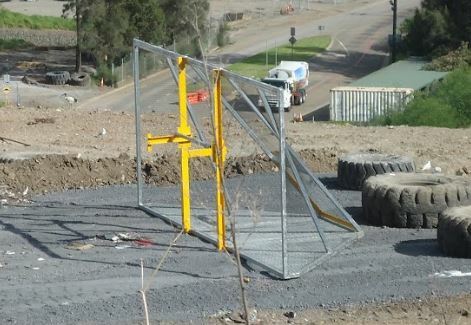 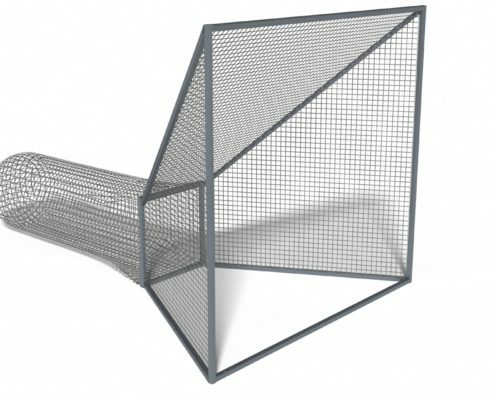 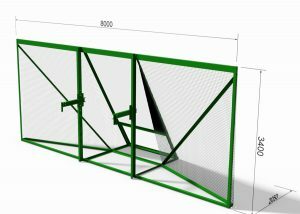 – Designed to sit up against a fence to capture and concentrate litter blowing along a fence line. 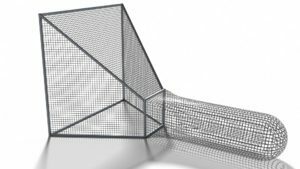 – Wind blown litter is captured in a removable & replaceable netting bag.